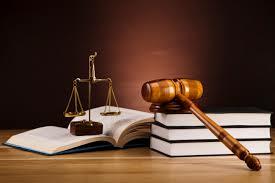 Each law firm may provide you with up to 10 minutes of free advice per telephone call. You may call more than one law firm. If you retain such law firm to represent you, it will be under terms only between you and the law firm. When making a call, you must identify that you are an Advice10 member in order to receive this free service. You agree that the attorney or law firm that gives you free legal advice over the telephone does not represent you and is not your attorney until you sign a retainer agreement with such attorney or law firm. You understand that Advice10 does not provide any legal advice. Advice10 also does not warrant the accuracy or inaccuracy of the legal advice provided by the attorneys and/or law firms listed on its website. You agree to release and hold harmless Advice10 from any claims whatsoever that you may have as a result of your reliance on any legal advice or legal opinion that you might receive from the attorneys and/or law firms that are listed on Advice10's website. By becoming a member of Advice10, you agree that advice10 or its affiliates may send you promotions and advertisements to your email address on record with Advice10. If you are an attorney or a law firm, listing your law firm with Advice10 is free. However, you agree that you will provide up to 10 minutes of free legal advice by telephone to Advice10 members who call you. Any member may retain your firm under your own terms. Advice10 retains the right to remove your firm from its listing at anytime and for any reason. You agree and understand that your advice over the telephone to a member does not make the member your client unless and until you sign a retainer agreement with the member, and that the member also has agreed to these terms before calling you.